Typeface designers frequently seem to assume the more OT features their fonts have the better. Typeface users, on the other side, don’t always share this delight. They are often stressed by the complexity, don’t get any sense out of them or just ignore the features. Since I am both a designer and a user of typefaces I tend to sway from one position to the other. In my work, where I am involved with script typeface design, OpenType features and coding play a very big role. I would say that a natural looking contemporary script typeface is not imaginable without an extended OT feature code. In order to avoid glyph repetitions and to let glyphs connect in a plausible way, alternate forms have to be made. At the beginnings and ends of words glyphs tend to look different from those in the middle, so for them too, “init” and “fina” alternates should be designed. To keep texts from looking monotonous and to add personality characteristic ligatures can be inserted. But they should “pop up” only once in a while — otherwise texts would get an artificial feel. For these things we need the feature code. — To let a ligature pop up only once in a while; to let “init” alternates appear at the beginning of words, and only there; to ensure that a “righthigh” glyph (like o, v, w) is followed by a “lefthigh” and not a “leftmedium” or “leftlow” alternate. In my fonts FF Mister K and Josef K Paneuropean the results of some of this coding can be seen. The feature code defines in which surroundings different alternates (there can be a few thousand) substitute the basic set of glyphs. The code, which is usually placed in the “calt” and “liga” features (contextual alternates, standard ligatures), can be long and complicated. Luckily for the users, these features are turned on by default in most application programs, and everything happens automatically. So hardly anyone would think of disputing their usefulness. I. Let important effects happen automatically. II. Let alternates in style be independent from OpenType. About I: Key features for this are “liga” and “calt” since they are active by default. Here an example from FF Mister K: Besides the basic set of capitals (which are very “kafkaesque”-looking) there is another set with simplified, clearer shapes. For acronyms and other all-caps contexts these are preferable. Users can activate them manually by selecting “stylistic set 01” or “stylistic alternates”. But also in “liga” there is a code which substitutes the basic capitals by the simplified ones when caps are typed directly one after another. So unless someone purposely turns the “liga” feature off this will happen automatically, and “stylistic set 01” does not have to be activated. About II: After experiencing how frustrating it can be to figure out the effects of different “stylistic sets” I figured out that it is often more user-friendly to create extra font styles. Users can select them easily from the character window and instantly see the changes in a text. 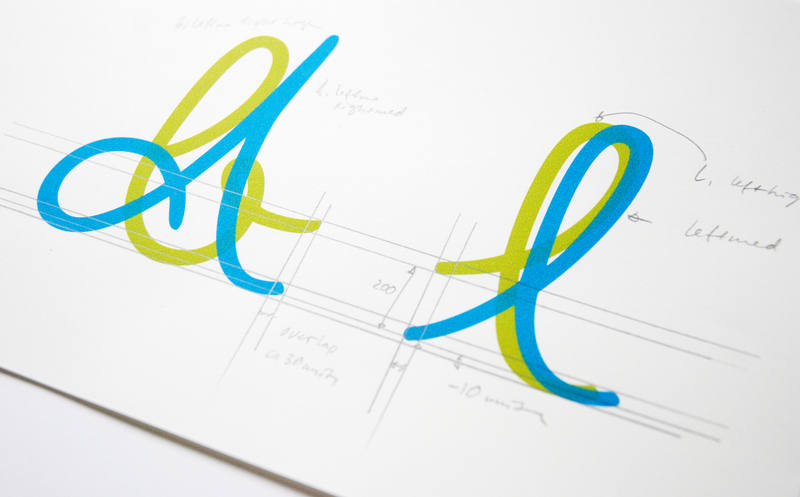 Like this, they get a quick and easy overview of all the possibilities a font offers. For a typeface designer there is also an advantage: A large number of styles in a family is usually more highly appreciated by customers than only few styles with large amounts of glyphs plus stylistic sets. There are, of course, also OT features which are — depending on the type of texts to be set — simply essential. If we forget script and display for a moment and talk about texts with somewhat demanding or even scientific content the following seem indispensable to me. Concerning numerals: proportional lining, tabular lining, proportional oldstyle, tabular oldstyle, superscript, subscript, numerator, denominator, fractions. For text and punctuation: small caps, capital spacing, case sensitive forms and ordinals. I think all of them should be available — and many text font families have them. But if you look into details there are quite big differences. In many typefaces only the numerals 0 to 9 exist as superiors. The examples are shown in my typeface Mir. Fine, these were some “serious” OT feature applications. Now let’s look at cases where they are just fun to use and part of the game. For the Swashes of my font family Emily In White (based on poet Emily Dickinson’s handwriting) I left away the stylistic set and put the layering code in “liga”. 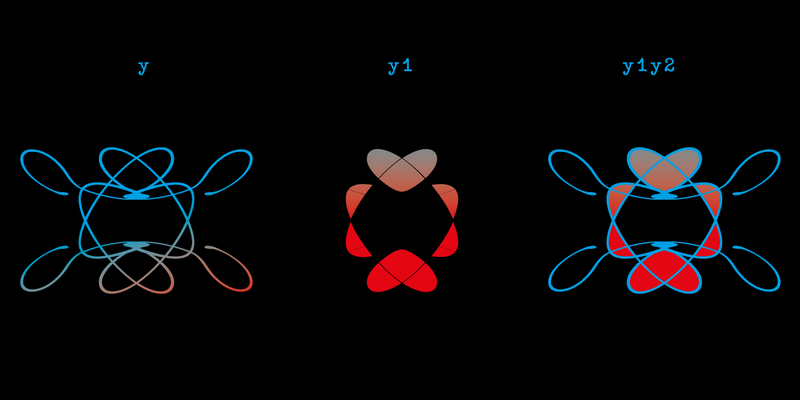 As shown in the illustration: first type a letter (example “y”) — and an ornament appears as an outline. If that’s what you want, color it and finished. If instead you want the filling, don’t type “y” but “y1”, again color it and finished. Finally, if you want the outline and the filling, type “y1”, then “y” and color them; finally type “2” to let them slide over each other. Although COLORADO is my last release and I minimised OpenType coding there (it has only 6 features), I am surely not moving away from OpenType features in principle. For me they are just not ends in themselves. I hadn’t expected it, but when a friend of mine, who is a language teacher, saw this she got the idea to use the font to correct her students’ exercises. So who knows, maybe Josef K Typewriter will some time or other even be used for serious work.